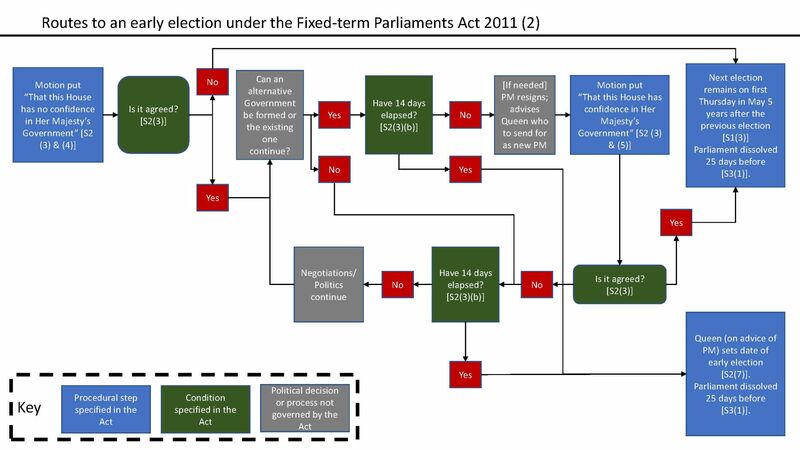 The purpose of the Fixed-term Parliaments Act 2011 ("the Act") was to establish fixed five-year election cycle and allow for an early general election to be called. Therefore, general elections now only occur, and early elections can only be brought about, under the Act. The Act removed the power of Monarch to dissolve Parliament, and with this the ability of the Prime Minister to call a general election at a time of their choosing or following a vote of no confidence in the House of Commons. The Act changed the mechanisms by which early general elections can be brought about. 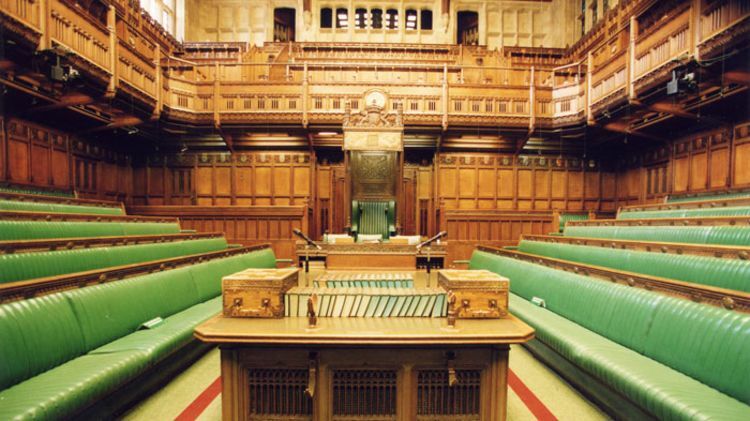 section 2(1) allows the House of Commons to call a general election if two thirds of all members vote in favour. section 2(3) established that a general election can be brought about following a vote of no confidence. Section 2 also establishes the exact form or wording of statutory motions which engage the provisions of the Act meaning that only a no confidence motion as set out in the Act can bring about a general election. There is a long held convention that a motion of no confidence removes the Government authority to Govern. If the House passes the motion "That this House has no confidence in Her Majesty’s Government”, under the Act a 14-day period begins, and by the end of this period the motion "That this House has confidence in Her Majesty’s Government” has not been passed a general election will occur. The Act provides no guidance on what happens during the 14-day period following a no confidence motion under the Act being passed. As the Clerk of the House told us what happens during this period is a matter of politics, and not of procedure. 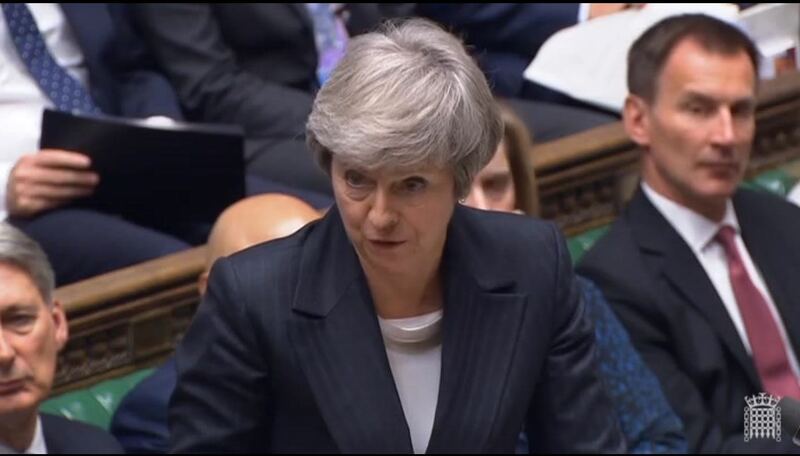 However, if the House of Commons were to resolve by whatever means that it has no confidence in Her Majesty&apos;s Government and it cannot be recovered, the Prime Minister loses their authority to continue with their administration and must resign and leave office as soon as an alternative Prime Minster is available. The Government&apos;s authority to govern rests on the confidence of the House, however it chooses to express it. 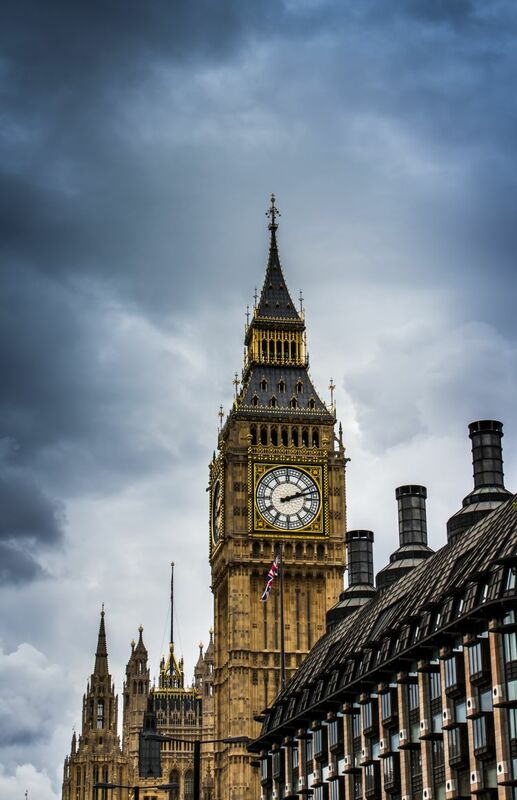 The procedure set out in the Fixed-term Parliaments Act is the only process through which a general election can be triggered. If a statutory vote of no confidence is passed under the Act, the Government has 14 days to pass a motion of confidence. If this does not happen, there will be a general election. However, the long-standing convention of using ‘motions of no confidence’ to express the will of the House that the Government no longer has the authority to govern, has not been altered by the Fixed-term Parliaments Act. 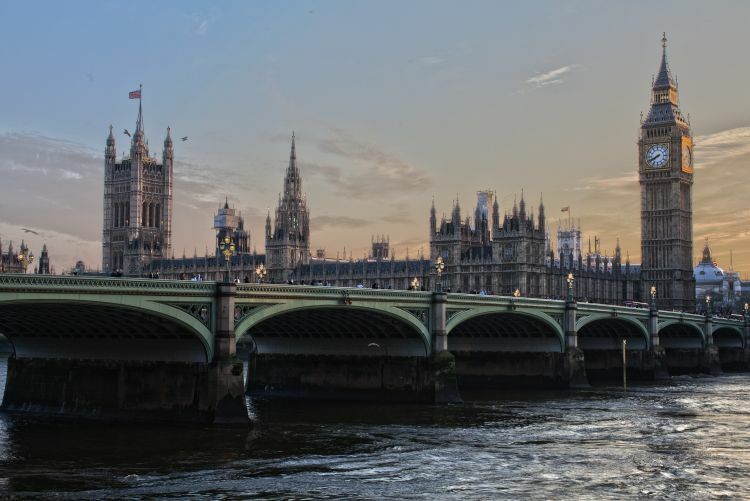 However, the House of Commons expresses ‘no confidence’ in the Government, if it cannot be restored, the Prime Minister would be expected to resign, but only when the Prime Minister can recommend an alternative person who can command the confidence of the House. 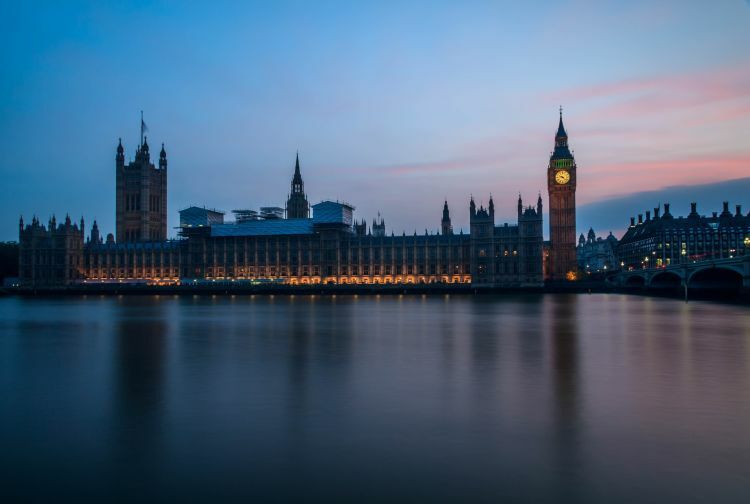 Our report Confidence Motions and the Fixed Term Parliaments Act [PDF] was published on 11 December 2018, and the Government has two months to respond to our conclusions. Detailed information from our inquiry can be found on our website. 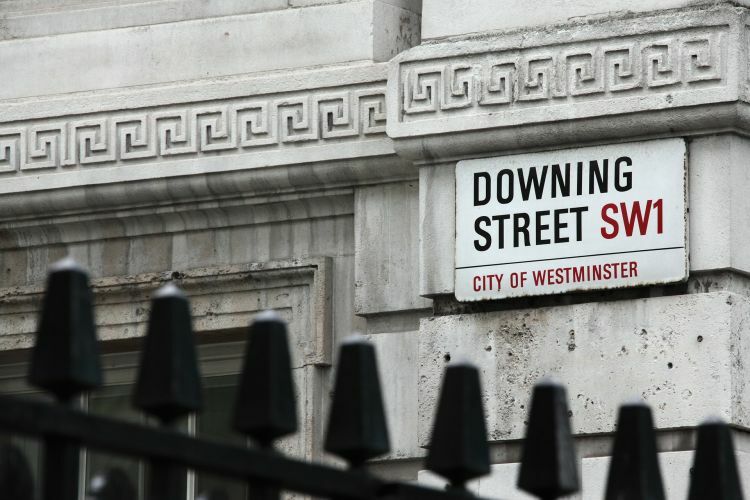 If you&apos;re interested in our work, you can find out more on the Public Administration and Constitutional Affairs website. You can also follow our work on Twitter.